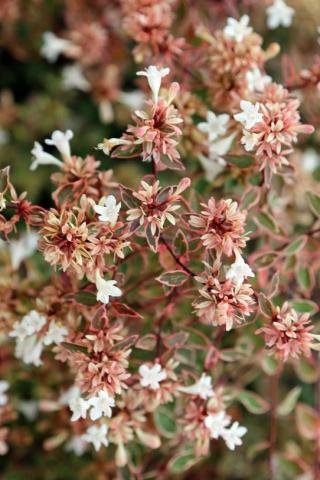 Compact habit with the gold variegated foliage tinged coral/pink. White trumpet flowers mature to pink, April to September. Up to 1.2m tall. Sun or semi shade. Any decent soil. Good in containers.